Atlanta police, school and recreation officials are taking steps to reduce youth violence this summer by providing free and low-cost programming to local children and teens. 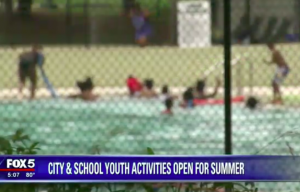 FOX 5 reports, the city will be running youth camps and activities to keep kids safe and active this summer. The announcement comes the same day three teens, ages 14, 15 and 19, were hospitalized during a shooting at the Providence at Cascade apartment complex. Families shouldn’t have to live in fear of children being shot in their own homes. While free community programming will help to reduce youth violence, property owners also need to do their part to protect families and address local crime. Apartment complex owners must take steps to deter foreseeable crime and provide a safe premises for residents and guests. Apartment residents and guests have a right to feel safe and secure while on property. By law, Georgia property owners are required to protect all guests legally on the premises from any foreseeable harm. For example, should an apartment complex owner have knowledge of prior criminal activity on or near property, they have a responsibility to take additional security precautions to protect residents and deter future crime. Should they fail in this duty, they may be held civilly liable for any injuries, assaults or deaths which occur as a consequence.